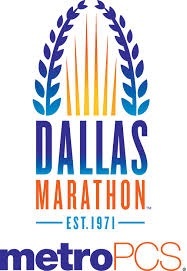 We won the Dallas Marathon relay. Sort of. It was an un-official competition against 2 other teams, and we beat one by 41 seconds and the other by several minutes. Weather was not as bad as was originally forecast. At the 8:05 a.m. start, there was still some rain moving through Dallas, and the temperature was in the mid-50s. By the time the first hand-off from L to me at mile 4.25, the rain had ended. My leg was the longest, at 6.25 miles. 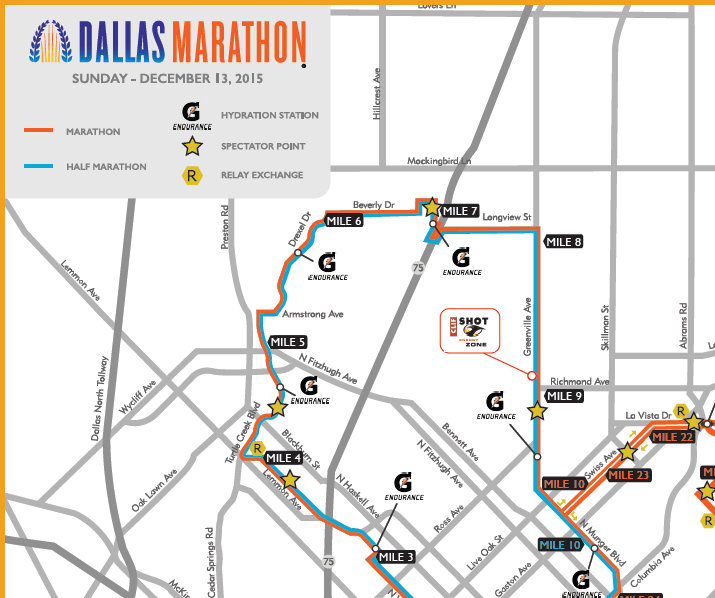 The route started in the posh Turtle Creek area, wound through the posher Highland Park area, across North Central (75) into the less posh, but more hip, Greenville area and then toward Abrams to the second exchange point. Crowd support was fantastic, notwithstanding the somewhat crummy weather. You know you’re near SMU when you have 20-somethings offering beer to the runners. I passed. We were appointed the relay logistics coordinator for our team, so we loaded the Conestoga with towels and drove it south early Sunday morning and eventually parked it at the Whole Foods on Abrams, about a block from the second exchange point. There we met up with the rest of the team. Then we used cars to ferry runners to their exchange points. Using text messages and the relay text system, we were able to get all the runners to their starts on time, get them picked up and keep track of our overall progress. Good terrain and cool weather facilitated my run of the second leg (10K) at a 9:16 pace in 57 minutes, 56 seconds. Overall, the team finished the 26.2 miles in 4 hours, 9 minutes and 39 seconds. Winners! Having the Conestoga on-site allowed team members to dry off and keep warm–our secret weapon that was certainly worth the 41 seconds to come in first place. 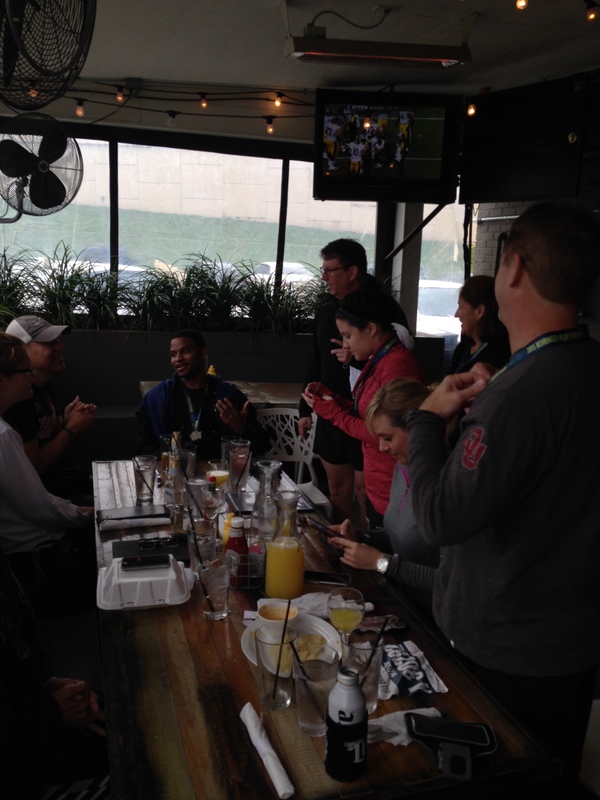 To celebrate our victory, we headed over Lake House Bar and Grill for Mimosas and Migas. Next run, Maui Oceanfront Half Marathon. The training is slow going, mainly because of the weather. Perhaps it is time to buy a treadmill. This entry was posted in 10K Runs, Runs, Texas and tagged 10K Runs, RV. Bookmark the permalink.